All Media Glass & Metal Inc.
We have the flexibility to take on large or small scale custom glass projects. No matter what your vision is we will work with you to develop a solution that works for you and meets your budget. Our experts are AutoCAD certified and utilize the latest techniques in glass fabrications while specializing in water jet cutting. 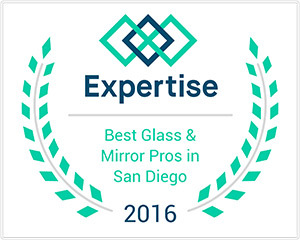 All Media Glass and Metal is focused on providing high-quality service and guarantees customer satisfaction. We offer custom glass installation. We fabricate and install custom glass railing systems, and custom shower enclosures.